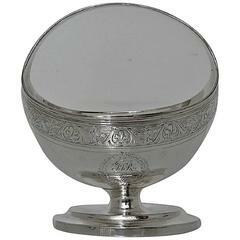 Magnificently designed large silver pierced floral dish with beautiful hand engraving for a real naturalistic effect. 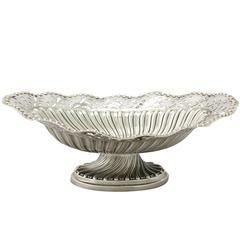 The dish has decorative foliage cast borders, handles and feet for overall style. The craftsmanship of the dish is of the highest standard. The basket measures 37 cm long.